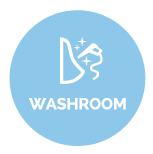 Whatever your needs are, Fresh & Clean have a managed washroom and workplace program specifically designed to your individual needs. 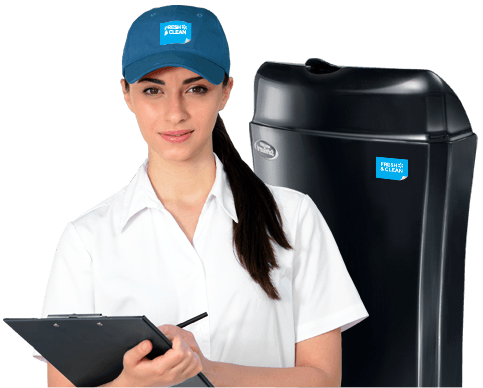 It’s the smart, hassle-free solution to workplace health and well-being that ensures you only receive and pay for the washroom hygiene services you need. Fresh & Clean service over 45,000 businesses, on a weekly basis, around Australia with branches in every state. program using our range of functional and stylish products and services. From soap, sanitising and hand drying solutions, programmable air fresheners, feminine hygiene units, nappy disposal and deep clean services Fresh & Clean can handle it all for you. A great washroom environment appeals to all our senses and a fresh and hygienic smelling washroom leaves a lasting impression. Fresh & Clean offers effective sanitising and air freshening solutions to guarantee a pleasant washroom environment for staff and customers. 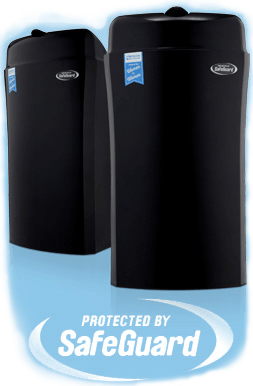 Our discreet wall-mounted sanitizing units work 24/7 to reduce odours and kill disease causing bacteria in wcs and urinals. The Fresh & Clean specialist deep clean service effectively removes uric acid build up in those harder to reach areas including drains, urinals, floor tiles and grates. 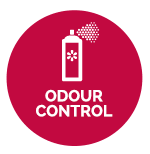 For longer lasting freshness, Fresh & Clean offer a selection of continuous passive and metered air fresheners to ensure your washroom is always fresh. Hand hygiene is vital to workplace health and wellbeing. Fresh & Clean offer hand hygiene programs specifically designed to meet your requirements. We provide a range of soap, sanitising and hand drying solutions to prevent the spread of bacteria and viruses, keeping your workplace healthy and safe. Our range of manual and touch free hand hygiene solutions is one more reason why you should leave your washroom hygiene in our capable hands. Effective workplace hygiene is not just about washrooms. From reception areas through to common areas such as kitchens and lunchrooms, bacteria can spread from hands to surfaces and become a major contributor to ill health and absenteeism at work. 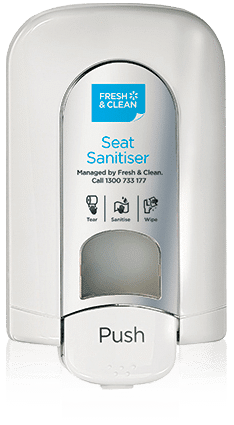 Fresh & Clean offers a range of hand, air and seat sanitising solutions for maximum protection along with air fresheners programmed to emit a measured dose of fragrance at selected intervals. The Fresh & Clean specialist deep clean service effectively removes uric acid build up in those harder to reach areas including drains, urinals, floor tiles and grates. Try our washroom cleaning service and see the difference for yourself. Fresh & Clean’s feminine hygiene service is designed to provide maximum comfort for your female employees and customers. Designed by women for women, our discreet, hygienic sanitary disposal units ensure a clean, safe disposal method with a perfumed liner releasing a pleasant fragrance between services. 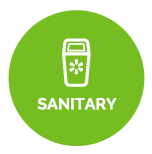 For organisations with nappy changing rooms such as shopping centres, Fresh & Clean also provide an equally safe and hygienic nappy disposal service..